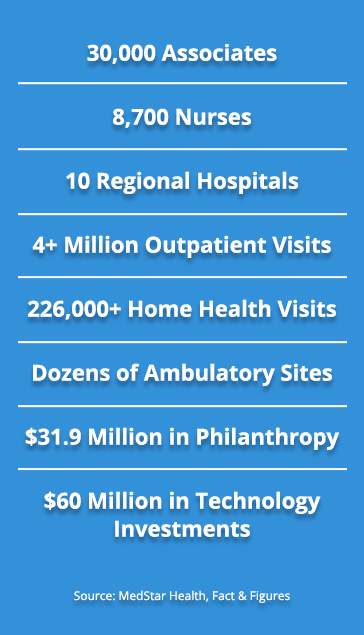 With an extensive regional health network throughout Maryland, Northern Virginia, and Washington, D.C. metro area, MedStar Health impacts the lives of millions of people each day. Associate satisfaction ratings that exceed the national benchmark. Hospitals ranked among the best in the nation by U.S. News and World Report, Solucient, HealthGrades, AARP, CareScience, Press Ganey, and others. One of the “Best Places to Work” as named by the Baltimore Business Journal and the Washington Business Journal.